My answer? I have no clue. The truth is that I found/stole both of those photos. Before you judge, let me explain. On my 22nd birthday, I went to a local restaurant with a few friends. It was one of those family-run places with a million bajillion (approximately) photos on the wall of them, their family, their friends, their friends’ friends, and a partridge in a pear tree. When we sat down to eat, my friends told the waitress that it was my birthday. “Oh, happy birthday,” she said, less than enthusiastically. Okay, so she really wasn’t giving any fucks about my birthday. That was fine. I didn’t care about her birthday either. I was, however, maybe hoping for a little song and dance — or even just a free piece of cake. I was 22 and poor and really would have been psyched to get some free wet naps and ketchup packets if she wanted to give them to me. As our meal went on, I looked around and noticed several people celebrating their birthdays. I don’t know if their cake was free, but they were getting sung to and acknowledged. My birthday is important to me and I WANTED ATTENTION, DAMNIT. Needless to say, we wrapped up that meal with no birthday wishes from anyone in the restaurant (Yeah, I know, cry me a river). 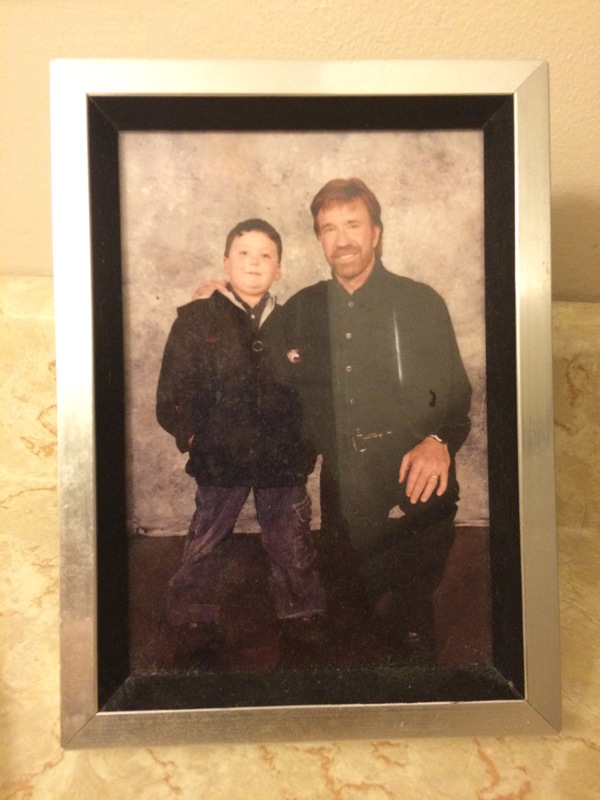 On the way out as we were getting our coats on, I saw it: Chuck Norris and the doughy boy. It was amazing and random and I wanted it. I had never stolen anything in my entire life, but in that moment, I felt like Chuck Norris and his small friend should be mine. I grabbed it off the wall, put it under my coat, and walked very briskly out the door (I don’t run). Once I got home and the thrill had worn off, I felt bad. 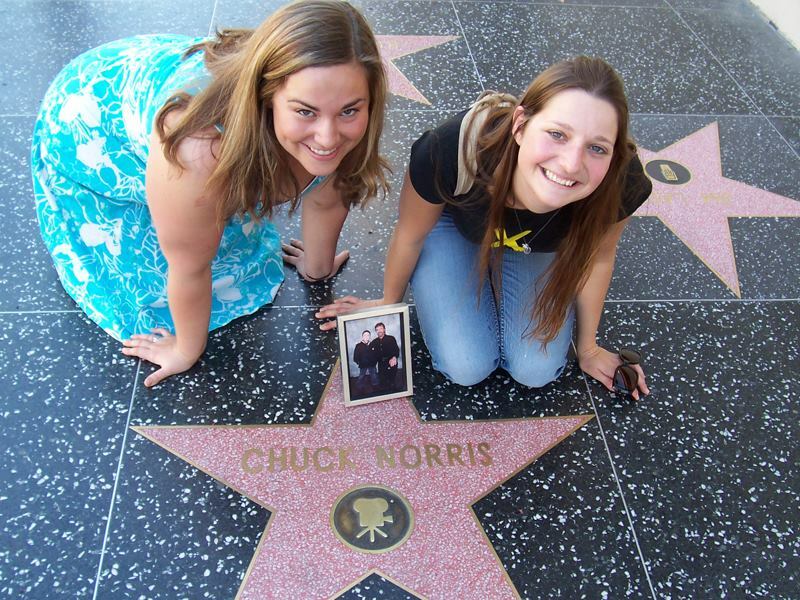 My friend and I were a few months away from moving to LA, so we decided that we would take Chuck Norris with us, bring him to his star on the Walk of Fame, take a picture, and then mail him back to the restaurant with the picture and tell them we just borrowed him because he wanted to visit his star. By that point, however, I couldn’t bring myself to part with Chuck. I felt like he was happier with me. So I kept him. 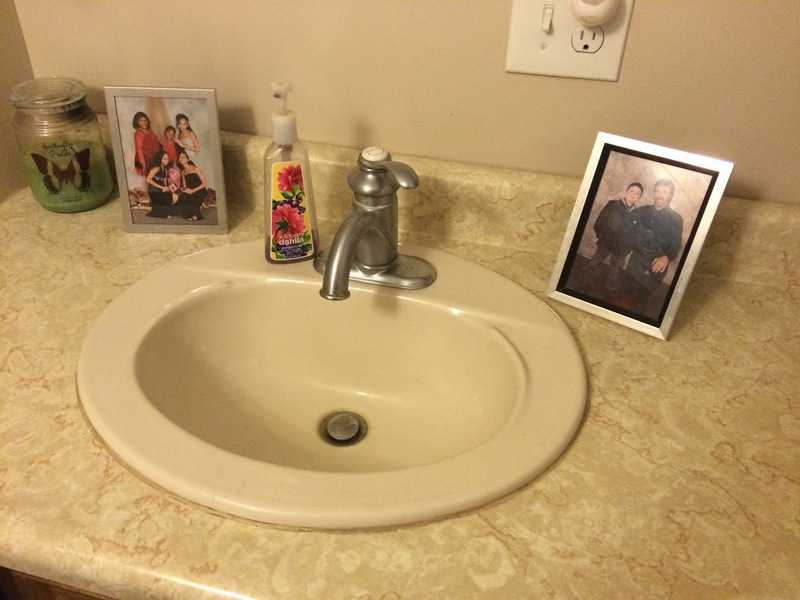 And now he lives in my bathroom. *Yes, I checked the statute of limitations on theft in RI before I posted this story. The restaurant isn’t even open anymore, but I’m not going to jail for Chuck Norris. I did not technically steal this photo. Someone lost it — and I found it. When I was in college, I went home one weekend to see my little brother in a play at his high school. After the show, when basically everyone had cleared out of the auditorium, I went up to the dressing room just for old times’ sake (I used to be quite the thespian). The dressing room was totally empty, but the kids had all left a bunch of crap around. 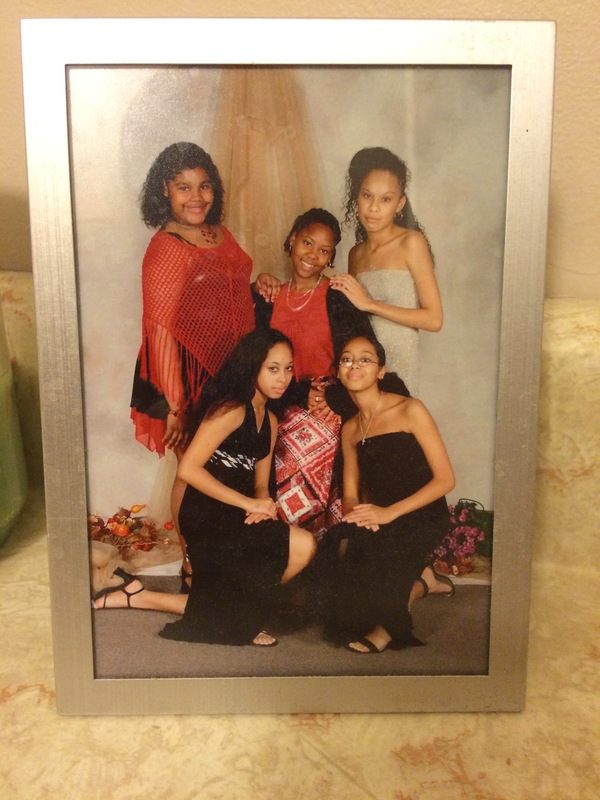 Among that crap, I found an envelope with a professional photo of 5 girls posing for their homecoming. I loved them all instantly. I didn’t recognize any of them as being involved in the play, so I figured the photo had been left behind during the dance team’s show that had been weeks earlier. *If you know any of these girls, for the love of God, please don’t tell them they live in my bathroom. I’ve already decided what I think their personalities are like and what their group dynamic is, so I don’t want anyone to ruin that for me.